Amethyst is a purple form of the mineral quartz and gets its color from iron impurities within the crystal. Amethyst and quartz have the same physical properties such as white streak, glassy luster, 6-sided prism crystal shape and moderate hardness. 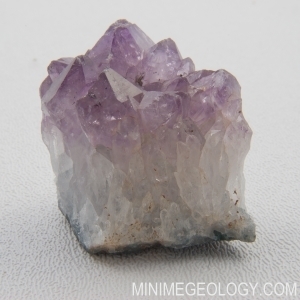 Amethyst is commonly used in jewelry and for collecting.